Re-surfacing of the road should be completed just in time for this year’s Straiton Struggle cycle race on the 28th March. The category 3 and 4 race is limited to a field of 60 but it is a very strong field which includes some promising juniors and ladies. Entrants will meet at the McCandlish Hall to register before setting off on a gruelling 54 mile circuit of Straiton – Kirkmichael – Crosshill which they complete 6 times. Last year’s winner was Kenny Armstrong (Ayr Roads CC), previous entrants have come from all corners of Scotland, including Shetland!, and the north of England. Let’s hope for good weather conditions this year. I believe dry, bright but not too hot, is perfect. The event is promoted by Ayr Roads Cycling Club who regularly train in this area on Tuesday nights during the summer months. 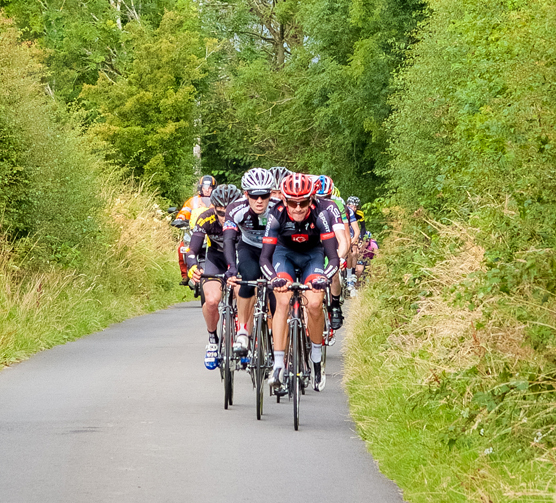 This entry was posted in Events and tagged Ayr Roads, Category 3 and 4, Cycle Race, Straiton Struggle by VisitStraiton. Bookmark the permalink.